A new study sheds light on the neural basis of dishonest behavior in psychopathic individuals. The new research has been published in Social Cognitive and Affective Neuroscience. “For many years, I have studied the neural basis of deception using a cognitive neuroscience approach,” said study author Nobuhito Abe of the Kokoro Research Center at Kyoto University. The study of 67 incarcerated men a used a coin-flip prediction task and functional magnetic resonance imaging to examine the relationship between psychopathy, dishonesty, and brain activity. The researchers found that psychopathy was characterized by reduced activity in a particular brain region during dishonest decision-making. 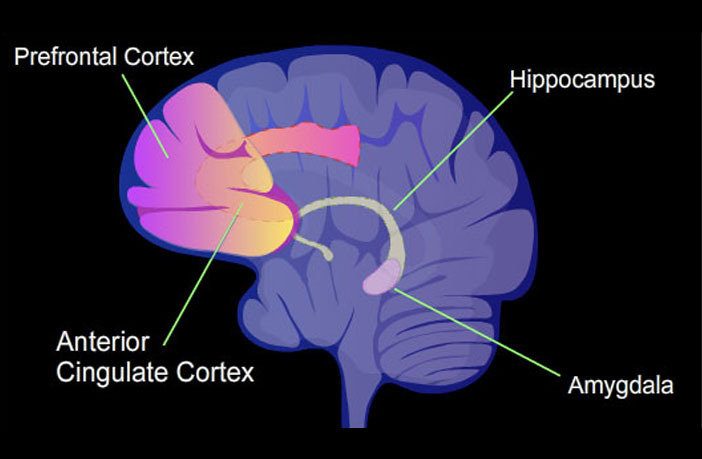 “The most important finding here is that higher psychopathy scores predicted decreased activity in the anterior cingulate cortex (ACC) during dishonest decision-making. And this ACC activity was a significant mediator of the relationship between psychopathic traits and reduced reaction time for dishonest behavior,” Abe told PsyPost. The researchers also found that psychopathic individuals tended to make dishonest decisions quicker. “The ACC is reliably recruited in tasks producing high levels of cognitive conflict such as the Stroop task and responding to moral dilemmas. We therefore interpret that psychopathic individuals behave dishonestly with relatively low levels of response conflict,” Abe said. The study adds to previous research that has found psychopathy is related to deficits in decision-making. But like all research, it includes some limitations. “One of the major limitations relates to the cognitive task used in the present study. The participants were asked to engage in the incentivized coin-flip prediction task wherein they were given real and repeated opportunities for dishonest gain,” Abe explained. The study, “Reduced engagement of the anterior cingulate cortex in the dishonest decision-making of incarcerated psychopaths“, was authored by Nobuhito Abe, Joshua D. Greene, and Kent A. Kiehl.